Earn 35 loyalty points, worth £1.75, when you buy this. 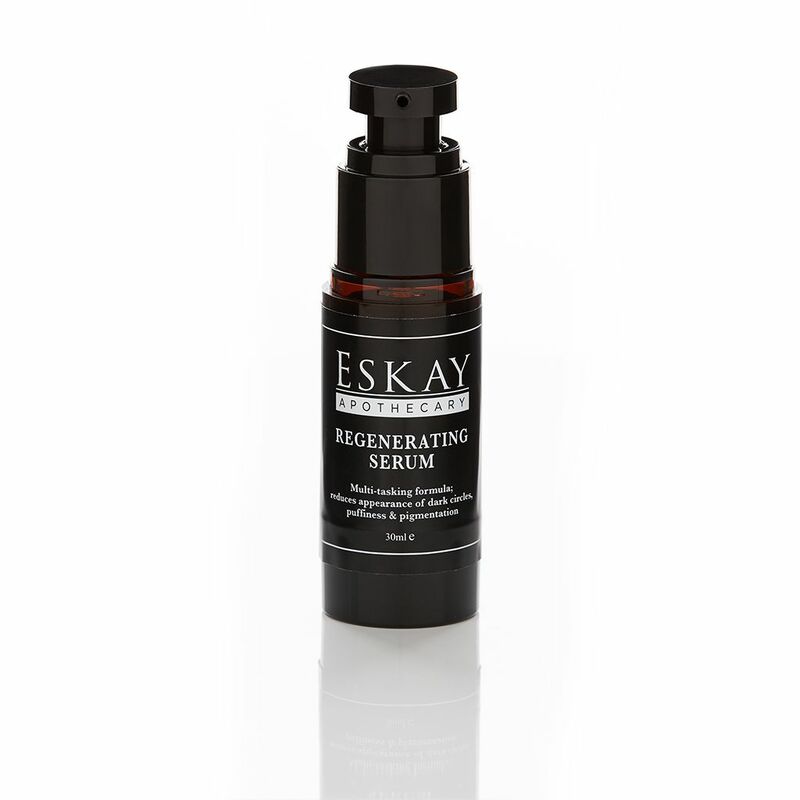 A multi-tasking serum; formulated with herbal infused Rosehip Seed oil, carrot seed oil and coffee bean oil (to name a few! ), this lightweight, highly concentrated serum will tighten, brighten and revitalise the under eye area. Gotu Kola - Improves blood circulation and speeds up the skins healing process. Comfrey Leaf (knitbone) - Promotes skin cell regeneration, assists the body to heal. Green Coffee Bean Oil - contributes to collagen production, deflates puffy skin by constricting blood vessels (thus, reducing the appearance of wrinkles). Suitable for daily use, it will target puffy tired eyes, dehydrated skin, fine lines and dark circles and pigmentation. Also highly effective on treating facial/body acne as well as reducing scarring to the skins superficial layer. I purchased this over a month back and been using daily AM and PM. I have extremely dark circles all around my eyes. Past few days I have been noticing the dark brown circles are a lighter shade. I am going to continue using and hoping the darkness gets lighter with this amazing cream. I have never had these results after using many many products for dark circles. This product has done absolute wonders on my skin. I’m currently on my second bottle and I just can’t get enough of it. Works perfectly with the Green tea scrub. I purchased this serum to help fade pigmentation and the results have been amazing. It’s lightweight and applies easily, a little definitely goes a long way! My skin appears brighter and more even too. Thanks Aamena. Love this eye serum.....was advised to use it on my freckles to reduce its appearance and it’s definitely working. It has also brightened my face and little goes a long way. Will definitely re-purchasing. This serum has reduced the lines in my under eye area and lightened it compared to what it was. I’ve had dark circles for years so I’m going to keep at it with my am and pm routine and keeping my fingers crossed that very soon I can reduce my use of concealer! IA! But I have to say it has lightened other areas on my face and I feel great for it for sure! I have been using this product since March and i have noticed a change with my tired eyes. You only need a tiny squirt for both eyes and anything leftover I usually put on the rest of my face. It helps freshen my eyes and face which really helps on a morning. I try and use it twice a day and sometimes more. A product which i have recommended to friends and family. I will definitely be buying this product and others from the website in the future. Love this! A little goes a long long way and has really helped fade my marks and on days when my eyes feel tired this just gives them a boost. I also use this all over my face! Love it so much definitely worth it! !